Make your own pair of pants with 100 Acts of Sewing - Pants No 1. This elastic waist wide-leg pant is perfect for a first time pant maker! 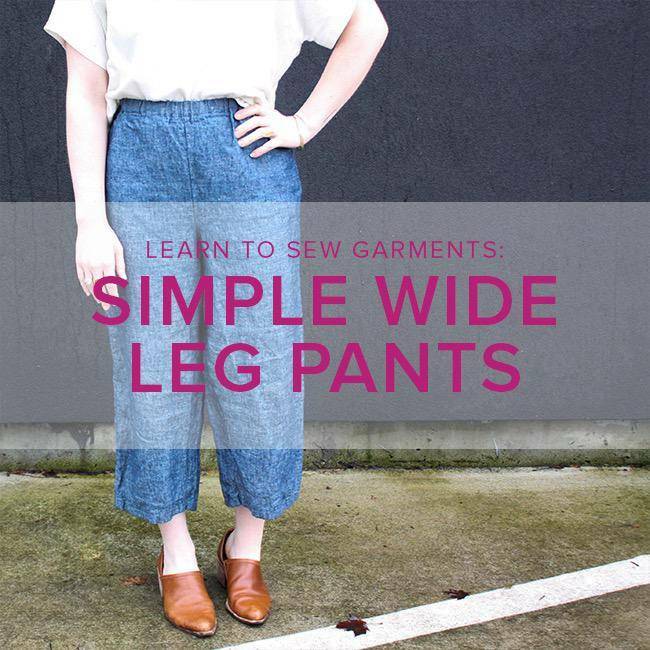 In this class you’ll learn everything you need to know to make your first pair of pants. You’ll learn how to read a pattern and select the proper size, how to adjust a pattern to fit your body, and how to create an elastic casing and finish hems with an edgestitch. All supplies are available for purchase at Modern Domestic. Please purchase supplies in advance of your class. Make sure to pre-wash your fabric in advance of class. This prevents possible fabric shrinkage that could otherwise make your finished garment too small. If you plan to shop for supplies the day of your class we recommend arriving at least 45 minutes early.